“The phenomenon went unexplained until the 1930s, when scientists matched the historic description with the unusual and precisely timed mating behavior of fireworms. 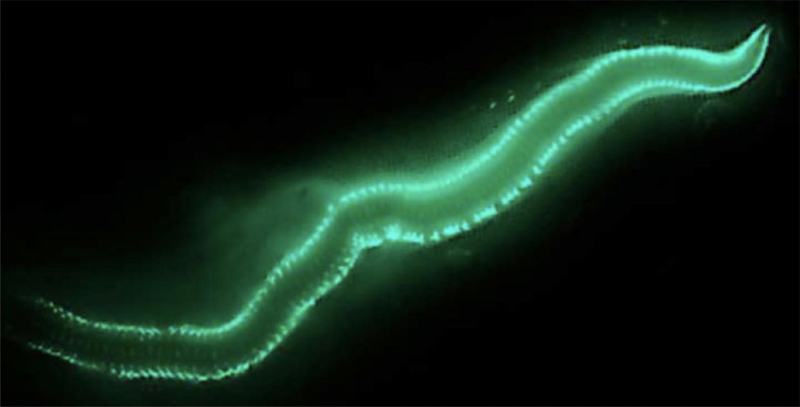 During summer and autumn, beginning at 22 minutes after sunset on the third night after the full Moon, spawning female fireworms secrete a bright bluish-green luminescence that attracts males. “It’s like they have pocket watches,” said lead author Mercer R. Brugler, a Museum research associate and assistant professor at New York City College of Technology [City Tech]. “The female worms come up from the bottom and swim quickly in tight little circles as they glow, which looks like a field of little cerulean stars across the surface of jet black water,” said Mark Siddall, a curator in the American Museum of Natural History’s Division of Invertebrate Zoology and corresponding author of the study. “To further investigate this phenomenon, Siddall, together with Brugler; Michael Tessler, a postdoctoral fellow in the Museum’s Sackler Institute for Comparative Genomics, and M. Teresa Aguado, former postdoctoral fellow in the Museum’s Sackler Institute for Comparative Genomics who is now at the Autonomous University of Madrid, analyzed the transcriptome — the full set of RNA molecules — of a dozen female fireworms from Ferry Reach in Bermuda. i always thought it was 53 minutes after sunset. I very rarely see them before that. Mind you, don’t see nearly the same number of worms as you used to see either. What a teaser story. What about the genetics? What did they find?